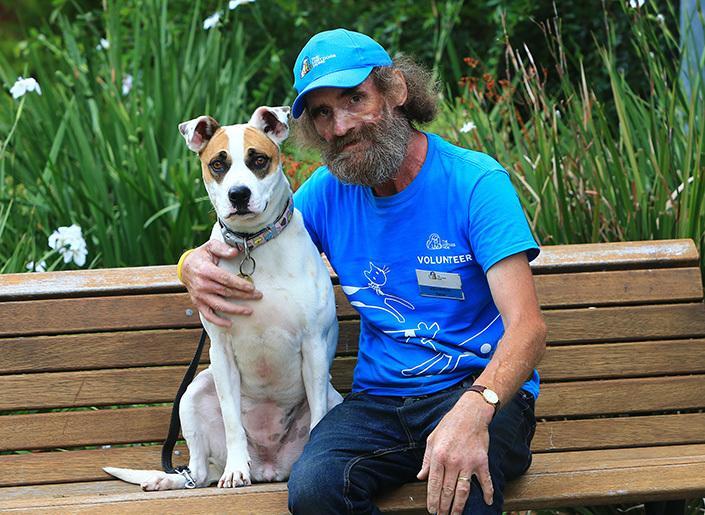 Volunteer Peter loves visiting the adoption dogs before his gardening shift starts. This National Volunteer Week, we send our deepest thanks to our dedicated volunteers, who kindly donate their time to help make a difference to the lives of homeless pets. More than 200 animal-lovers currently volunteer in a variety of volunteer roles at the Home, including dog and cat enrichment, gardening, reception, laundry, IT, adoptions call centre, behaviour training, community events, and fundraising, among many others. Peter is one of these caring people. 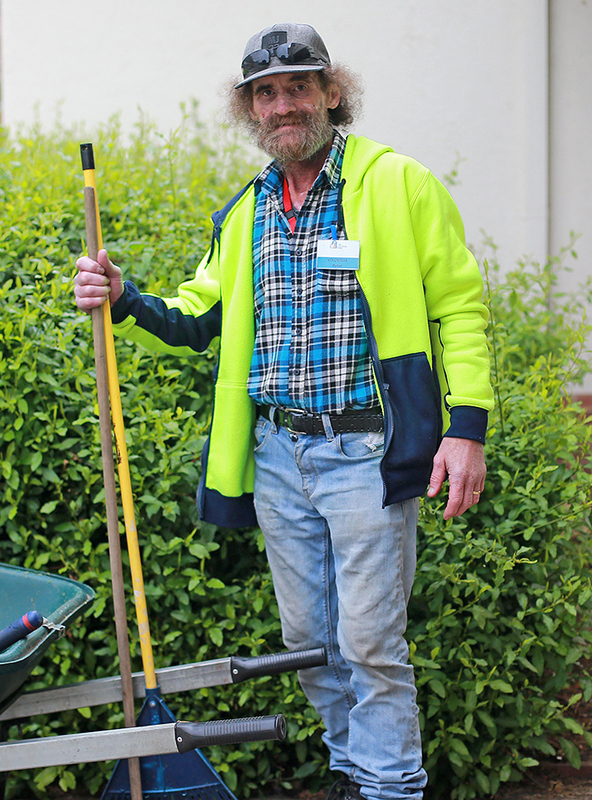 After years of great hardship and adversity, he has found his purpose through volunteering. Suffering a near-fatal stroke in 2014, Peter was down on his luck. 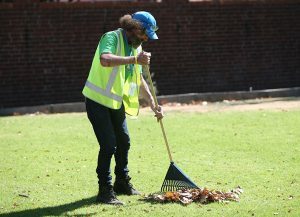 Living on his own and bravely trying to support himself, he battled to make ends meet while working on his rehabilitation to recover from the stroke. 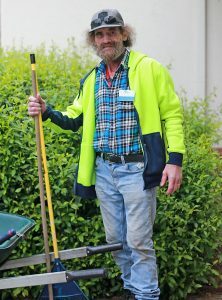 A chance opportunity in a volunteer gardening role at The Lost Dogs’ Home was presented to Peter in May last year. It changed his life. “I’m not the type of person to sit and do nothing – I’ve always needed to be active,” said Peter. “This job suited me. I’ve even got less pain in my legs and I’m walking freely. “I thought, ‘I’m good with animals and gardening’. I’m very happy and very peaceful here. 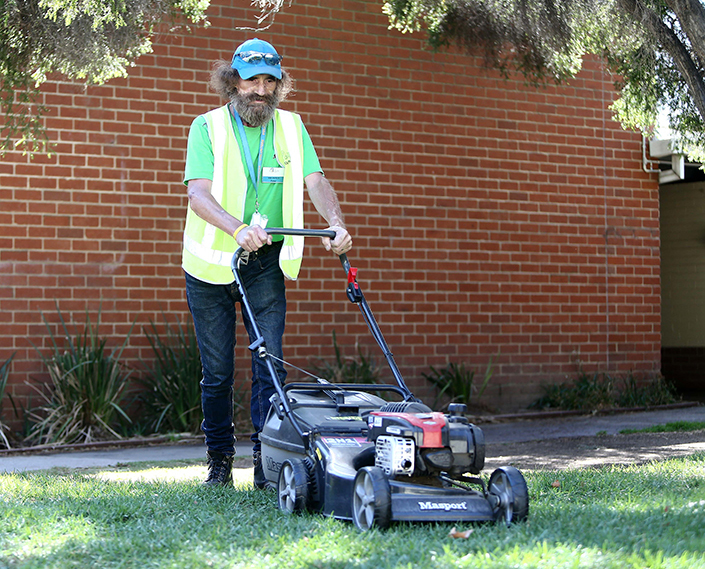 Peter takes enormous pride in his work, which doesn’t go unnoticed among the Home’s visitors, volunteers and staff. 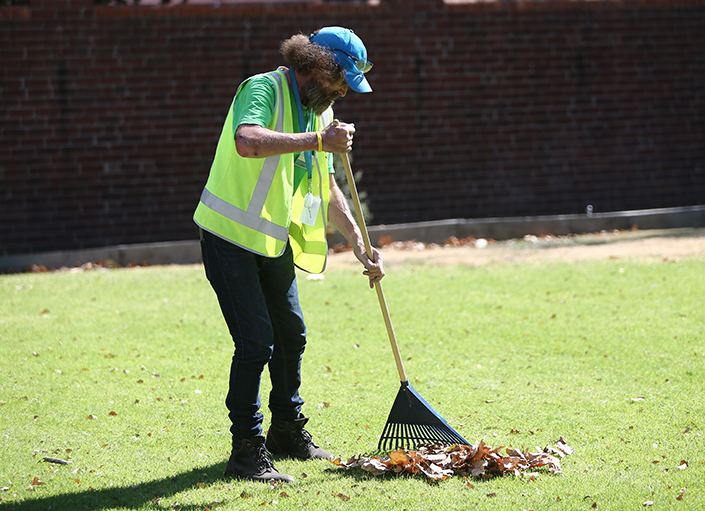 Peter drops in four days a week and dutifully mows the lawns, rakes the leaves, tends to the gardens, clears the drains, and helps with any odd jobs. Peter was the deserving recipient of the Home’s 2017 Volunteer of the Year Award. Volunteering has given Peter a new lease on life, after experiencing more than his fair share of difficult times. Earlier in his life, Peter tragically lost his younger son, and was sadly estranged from his older son for 20 years before finding him online during his time at the Home. The pair happily reunited as Peter proudly showed his son around the shelter and shared his admiration for his work and love for the dogs. I have a real love of animals here. The first thing I do every day is go and see the dogs,” Peter said. Volunteers are a vital part of our community here at The Lost Dogs’ Home. If you’d like to get involved and make a difference, browse our current volunteer vacancies. New roles regularly become available, with a wide variety to match all kinds of interests and skills.